Greetings from the Brothers of the Iota Nu Chapter of Omega Psi Phi Fraternity Incorporated, The Harford County Ques. We are glad that you’ve taken the time to visit our site. The buttons to the left will navigate you through our website and update you on the history and community service of Iota Nu chapter and Omega Psi Phi Fraternity. As you browse our site, please note that we are ever so vigilant in updating our information so that we can provide you the most current information on our chapter and the efforts of OMEGA. The Iota Nu Chapter of Omega Psi Phi Fraternity, Inc. collected school supplies as part of their back to school initiative. The school supplies included spiral notebooks, composition notebooks, pens, pencils, crayons, tape, glue, play doh and hand sanitizer for children with ages ranging from 5 years (Kindergarten) through 15 years (10th grade). The school supplies were donated to the children of Families that are currently living at the Harford Family House located in Aberdeen, Maryland and students at Magnolia Middle School one week prior to the start of the school year. Harford Family House is the largest provider of transitional housing for homeless families with children in Harford County. They are the only organization in Harford County capable of keeping an intact family during the crisis of homelessness. It is their goal to end homelessness in Harford County, one family at a time. One of Iota Nu’s own Brother Lamark Holley is a member of the faculty at Magnolia Middle School and assisted with an effort that included donating over 50 backpacks to students. The chapter prides itself on providing Service and assistance to Families who need help in our communities. Job well done by our Committee Chairman, Mike Bennett and the Brothers of Iota Nu Chapter. The Iota Nu Chapter of Omega Psi Phi Fraternity, Inc. continued our working relationship with the Harford Family House. Once a month the men of Iota Nu show up to support in a variety of ways. This day included Brothers Michael Bennett and Charles Gordon painting an apartment for an incoming family. Harford Family House is the largest provider of transitional housing for homeless families with children in Harford County. They are the only organization in Harford County capable of keeping the family together during the crisis of homelessness. It is their goal to end homelessness in Harford County, one family at a time. The chapter prides itself on providing service and assistance to families who need help in our communities. Iota Nu supports Camp Happy! The Iota Nu Chapter of Omega Psi Phi Fraternity, Inc. continues its support of We Cancerve and the Harford Family House. On Thursday afternoon Brothers Michael Bennett and Anthony Dorsey spent time with children from the Harford Family House during We Cancerve’s Camp Happy. Brother Bennett and Dorsey spoke about their careers in the military, displayed equipment that servicemen use, and presented Camp Happy with an American flag. As former servicemen, Brothers Bennett and Dorsey explained the meaning of the American flag along with the colors, stars, and stripes. The children were able to wear military helmets, ruck sacks, vests, and laid on sleeping bags, cots, and mats. Camp Happy Easter created in 2015 by Grace Callwood, then age 10, as a free summer enrichment program for children at area transitional homeless programs. Callwood, founder of We Cancerve Movement Inc., wanted to make sure homeless youth returned to school in the fall with positive and fun stories to tell about their summer breaks. "Camp Happy is unique because it's a summer enrichment program made for kids by kids. Camp Happy is also completely for the homeless children and it's held onsite at their locations. Our camp is unique because from all of our activities come ideas of youth - either our junior camp counselors or the youth we serve at homeless shelters. Special events like guest presenters and field trips are donated at no cost or at a significantly reduced cost." said Grace Callwood, age 13. She's a rising 8th grade student at Edgewood Middle School. 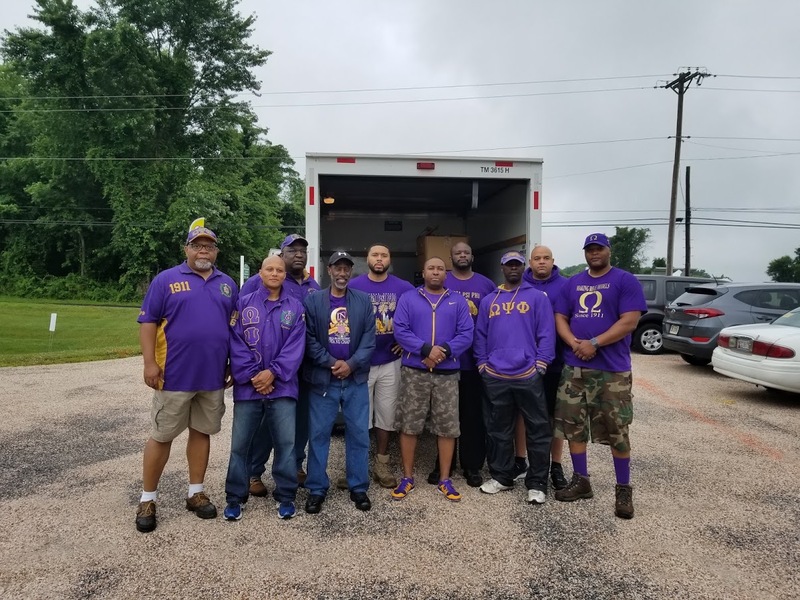 The Iota Nu Chapter of Omega Psi Phi Fraternity, Inc. continues its social action initiatives and volunteering efforts with our partnership of the Harford Family House. During the summer months, when the chapter normally takes its hiatus Brother Michael Bennett continues to lead efforts to support the Harford Family House on a monthly basis. Brother Bennett assisted with cleaning and preparing a 2 bedroom apartment for an incoming family that will be entering the Harford Family House. The Harford Family House offers transition housing for homeless families and helps them toward self-sufficiency. The competitive program aids families in credit repair, increasing marketable job skills, finding employment and addressing medical and mental health needs. Overall, their goal is to prepare families for independence. The Iota Nu chapter is proud of Brother Michael Bennett for his selfless service and looks forward to our continued partnership that supports the Harford Family House. In the organizations first year the Harford County Alumni Council is off to a strong start. Recently, the organization comprised of the Greek letter organization in Harford County partnered with the Hosanna AME Church and Havre de Grace Rotary Club. This event was sponsored in part by the Harford County Government and held at the Historic Hosanna School Museum. The Juneteenth Celebration featured events throughout the day. Events included Janice Greene, African Drummers and Dancers, the Aberdeen Buffalo Soldiers Motorcycle Club, Zumba, crafts, vendors, food trucks, silent auctions, tours, and much more. This is an event that has been expanding annually that the Harford County Alumni Council is proud to be part of. The men of the Iota Nu chapter of Omega Psi Phi Fraternity supported in multiple capacities to set up and tear down the large festival. The men of Iota Nu supported by transporting setting up tables, chairs, and tents that were used for the festival. The brothers of Iota Nu also stayed to help the multiple vendors and other activities prepare for the festival. For those that are unware, Juneteenth is a commemorated on June 19 annually to celebrate the abolishment of slavery in the United States. It is significant in history because it was on June 19th that Major General Granger whom led the Union soldiers landed in Galveston, Texas to provide communication that the enslaved were now free. The significance is that this was after two and half years after President Lincoln’s Emancipation Proclamation. The state of Texas was not recognizing the Proclamation until the Union arrived to overcome the resistance. There are numerous stories told today to try and explain the two and half year delay. 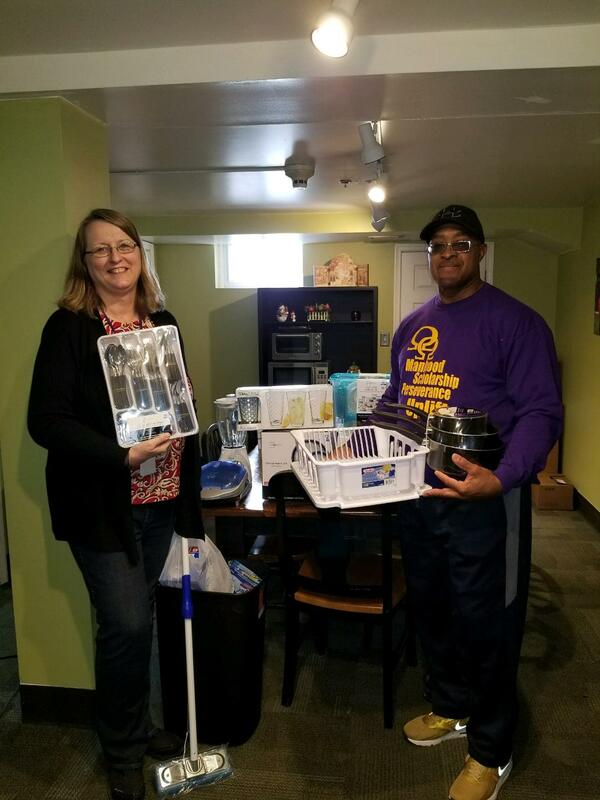 The Iota Nu Chapter of Omega Psi Phi Fraternity, Inc. continued our work with the Harford Family House. On a Friday afternoon when most are at work or leisurely spending their day off preparing for the upcoming holiday several brothers took time to go and ensure that an incoming family was able to successfully move into one of the homes at the Harford Family House. Brothers Michael Bennet, Anthony Dorsey, Charles Gordon, Eric Story, and Norbit Reed helped to clean and furnish one of the recently vacant apartments. Brother Charles Gordon even brought his son Charles Jr. along to show him the value of giving back to the community. Harford Family House is the largest transitional housing organization in Harford County. They assists family’s transition during the crises of homelessness. Their goal is to end homelessness in Harford County, one family at a time. The Iota Nu chapter is proud to assist this organization and looks for to continuing to uplift the community. 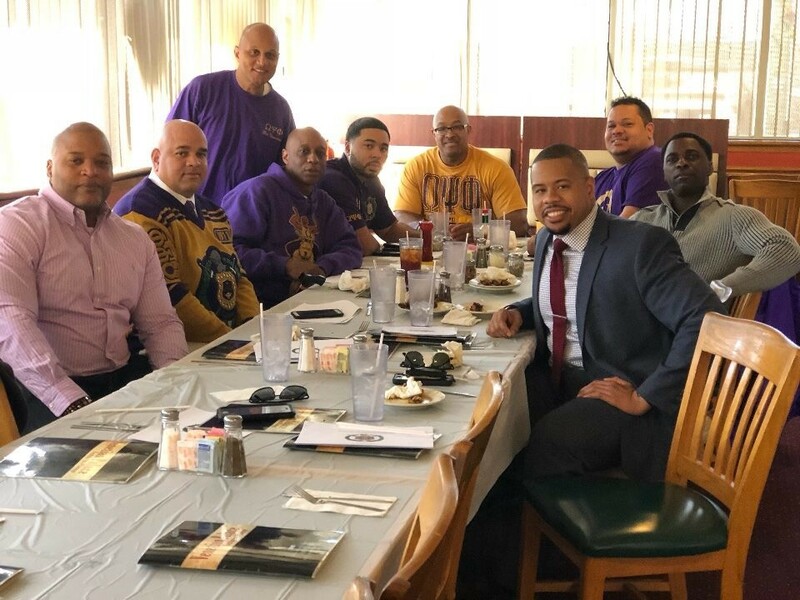 The Iota Nu Chapter of Omega Psi Phi Fraternity, Inc. recently returned from Omega Psi Phi’s 70th Second District Conference that was hosted by the brothers of Pi Omega Chapter in Baltimore City. Iota Nu is proud to announce that they returned home with several brothers being recognized for their awards and achievements to our organization. Brother Dwayne Adams, whom was appointed as the undergraduate representative for the recently chartered Alpha Delta Gamma chapter received the undergraduate advisor of the year award. This award represents the hard work and dedication that Brother Adams has done to ensure that the Brothers of Alpha Delta Gamma’s charter was successful as well as starting several social action initiatives on McDaniel College. Brother Adams is a former Basileus of Iota Nu and Social Action Chairman. Brother Leonard Newman received the district Colonel Charles Young Award. The Colonel Charles Young Award represents the numerous accomplishments that Brother Newman has done as a brother and also a committed serviceman of our military. Brother Newman is a past parliamentarian for Iota Nu and currently the president of the Iota Nu uplift foundation. Brother Marquiz Findley-Smith received the districts undergraduate Omega Man of the Year Award. Brother Findley-Smith has been a hard worker for the fraternity as well as a student athlete that played football for McDaniel College. Brother Marquis Findley is a former Undergraduate Representative for the Second District. Brother Marquiz Findley-Smith was initiated through the Iota Nu Chapter and was instrumental in chartering Alpha Delta Gamma Charter at McDaniel College. Brother Marquiz Findley Smith recently graduated from McDaniel College and plans to attend law school in California. Additionally, Iota Nu’s talent hunt representative received third place at the District Talent Hunt. Ms. Aniya Horne performed a liturgical dance in the Contemporary dance category in which she expressed the word and spirit of god with joy and emotion. The Iota Nu chapter of our accomplishments as a whole and will continue to work and serve the community. 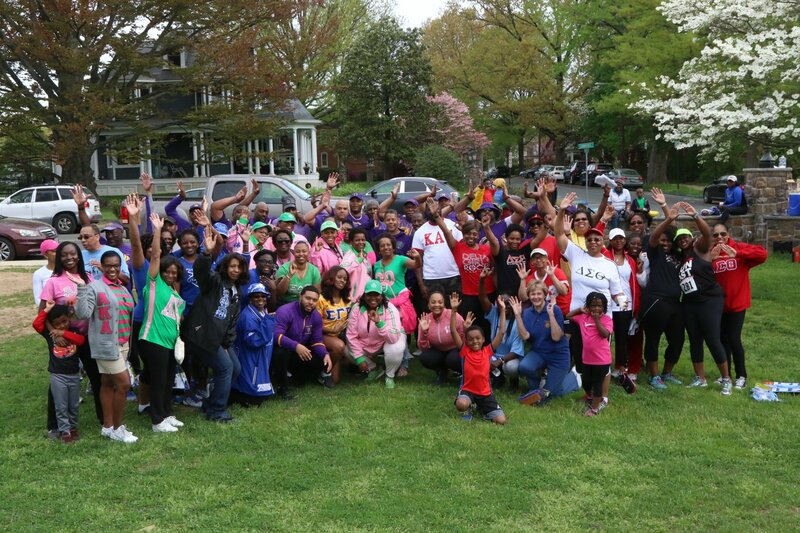 Havre de Grace, MD—May 5, 2018, 2nd District, The Iota Nu chapter in conjunction the Harford County Alumni Council and Havre de Grace Rotary club partnered together for their first annual Health and Addiction Treatment 5k Run/Walk. These organizations began planning for this event back in September 2017 and after several months of coordination and effort the organizations successfully executed their first annual 5k to raise awareness for the American Diabetes Association and Addiction Connection Resources. The Havre de Grace Rotary club is an organization that was founded in 1922 with the mission of service above self. The Rotary club is an international organization that is dedicated to solving real world problems with sustainable projects and have programs that include literacy, peace, water and health. The Harford County Alumni Council is a newly formed organization that is combines the Harford County Greek Organizations. These organizations include Zeta Phi Beta Sorority Inc., Kappa Alpha Psi Fraternity Inc., Alpha Kappa Alpha Sorority Inc., Sigma Gamma Rho Sorority Inc., Delta Sigma Theta Sorority Inc., Phi Beta Sigma Fraternity Inc., and Omega Psi Phi Fraternity Inc. All of the Greek organizations lead multiple initiatives to include scholarship and social action among Harford County and have teamed up to expand their reach in the community. 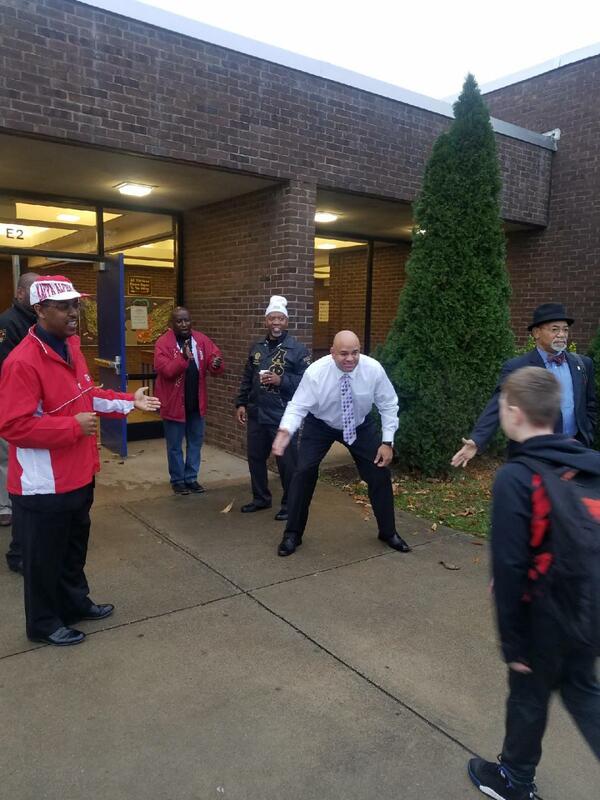 Together, the joint effort between the two organizations raised well over the intended goal of $1000.00 for both the American Diabetes Association and Addiction Connection Resources. The two organizations have found a niche in the community that is poised to expand. The event was well received by the community and the Mayor of Havre de Grace was in attendance to provide support on behalf of the city. The race took place in Tyding's Park along an official USA Track & Field certified course. The Iota Nu Chapter of Omega Psi Phi Fraternity, Inc. was recently recognized by the Harford Family House for our efforts supporting their organization over the past year. The Iota Nu chapter received The Outstanding Organization Award during an awards banquet. Brother Michael Bennett represented the chapter at the banquet and has been instrumental in the chapter’s partnership. The Iota Nu chapter plans to continue our partnership with this noble organization. The Iota Nu Chapter of Omega Psi Phi Fraternity, Inc. traveled to the Starbucks location of the recently nationalized racial injustice regarding the arrest of one of our organizations own. Brothers Glascow Bart and Derrick Brockman traveled to stand with brothers of Omega Psi Phi from around the nation in solidarity to speak about the recent and ongoing recent injustices against African Americans. 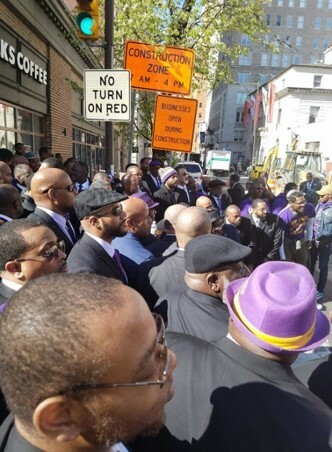 The brothers heard from Omega Psi Phi’s national leaders as well as Starbucks CEO about the incident and are pledging to work towards a common solution to avoid future incidents. The intent of the rally is to spark hope and national change that is occurring throughout the United States. Brothers Bart and Brockman were also had the opportunity to speak and fellowship with Omega Psi Phi member and Civil Rights Attorney Brother Benjamin Crump. 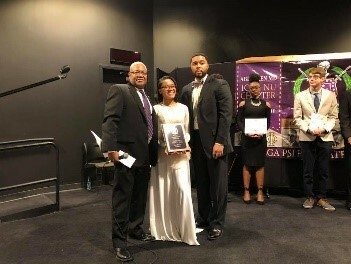 The Iota Nu Chapter of Omega Psi Phi Fraternity, Inc. attended a scholarship memorial that honors a recent member of Iota Nu that has transitioned in Omega Chapter. Brother Silas Williams was initiated into the Iota Nu chapter in 2014 and was also a charter member and the Buffalo Soldier chapter in Harford County. The brothers of Iota Nu received communication that the Buffalo Soldiers were establishing a scholarship fund in Brother Williams honor and attended the motorcycle clubs fish fry fundraiser to support our recently deceased brother. Altogether, the brothers of Iota Nu donated over $300 to Brother Silas Williams’s scholarship fund. The Iota Nu Chapter of Omega Psi Phi Fraternity, Inc.’s very own Brother Charles Gibson had the honor of being inducted into Bowie State University’s ROTC Hall of Fame. Brother Charles Gibson received this recognition based on his outstanding service and support of the Bowie State University ROTC program. As a retired service member of the United States Army, Brother Gibson has continued to mentored, sponsor, and speak at various events over the past 15 years that have prepared the future officers of the Army. Brother Charles Gibson served 28 years in the United States Army after being commissioned at Bowie State University in 1986 and retired at the rank of Colonel. Brother Charles Gibson was initiated into Omega Psi Phi Fraternity, Inc. in 1984 through the Epsilon Sigma Chapter at Bowie State University and is currently the Vice Basileus of the Iota Nu chapter which serves Harford and Cecil County. renovation of a home in Harford County that will be designated to a family in need. to those in need. To date, the organization has built over 50,000 homes. Approximately 10 brothers from the chapter participated in this worthy cause. This event was chaired by Brother Dana Fogg. the Iota Nu Chapter conducted its second annual highway clean up initiative in partnership with the State Highway Administrations Adopt-A-Highway under the Maryland Department of Transportation. The chapter did not conduct a clean-up during the winter season and the second clean up this year has brought the chapter on schedule to complete quarterly clean ups as part of our obligation to State Highway Administration. The chapter welcomed several young men to help and assist the efforts. The brothers were thanked by military servicemen as they walked the highway and parents of children stopped to inquire about how their children could support these noble efforts. 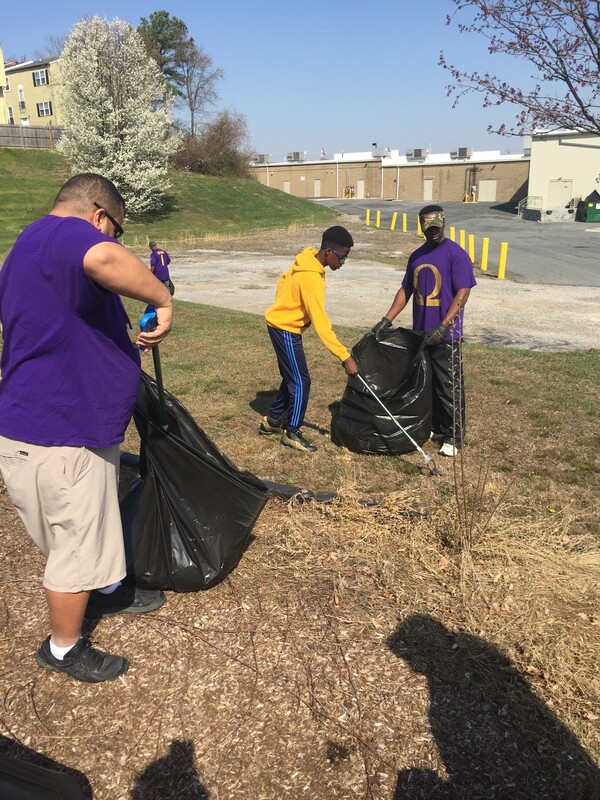 On this day, the men of Iota Nu also spent time cleaning a local park located in Edgewood, Maryland. The park and highway clean up also provided an opportunity for some of Iota Nu’s reclaimable brothers to participate with their children while fellowshipping with the chapter. With the support of the brothers, the chapter was able to clean both the highway and park in approximately 3 hours. The Iota Nu chapter has adopted two highways in Harford County along route 40 in Aberdeen, Maryland. The recent clean-up effort occurred at the entrance of Aberdeen Proving Ground. Keeping the roadways litter free improves the health of our environment and keeps our roads safe to drive. This is one of several events that Iota Nu plans to conduct as part of the chapters Social Action initiatives that has expanded into fatherhood and mentoring of young men as well as reclamation of brothers that live in the Harford County area. This program is led by Brother Anthony Dorsey. The Iota Nu Chapter of Omega Psi Phi Fraternity, Inc. traveled to McDaniel College to participate and support our young chapter brothers during a one of the events they are establishing on campus. The young brothers of Iota Nu at McDaniel College led a discussion called “Manhood.” The brothers from Iota Nu facilitated a discussions regarding being an African American man in today’s society. Approximately, 20 students from McDaniel were present and engaged the brothers and the brothers provided life experiences, talked about career and mentorship opportunities. This is one of many events the brothers of McDaniel plan to include and maintain on an annual basis. The brothers of Iota Nu at McDaniel are set to transition into a newly chartered chapter in Omega Psi Phi Fraternity, Inc. The brothers of Iota Nu in Harford County will remain close to the newly formed chapter to ensure that they grow and maintain the organizations mandated programs. The Iota Nu Chapter conducted its annual highway clean up initiative in partnership with the State Highway Administrations Adopt-A-Highway under the Maryland Department of Transportation. In 2018, as part of Iota Nu’s fatherhood and mentoring initiative the brothers brought local middle and high school young men to participate. Doing this allowed the chapter to fellowship and speak with the young men on an individual basis while showing them the importance of keeping our environment safe and clean. The Iota Nu chapter has adopted two highways in Harford County along route 40 in Aberdeen, Maryland. Together, the brothers walked up and down our adopted highways collecting litter. Keeping the roadways litter free improves the health of our environment and keeps our roads safe to drive. 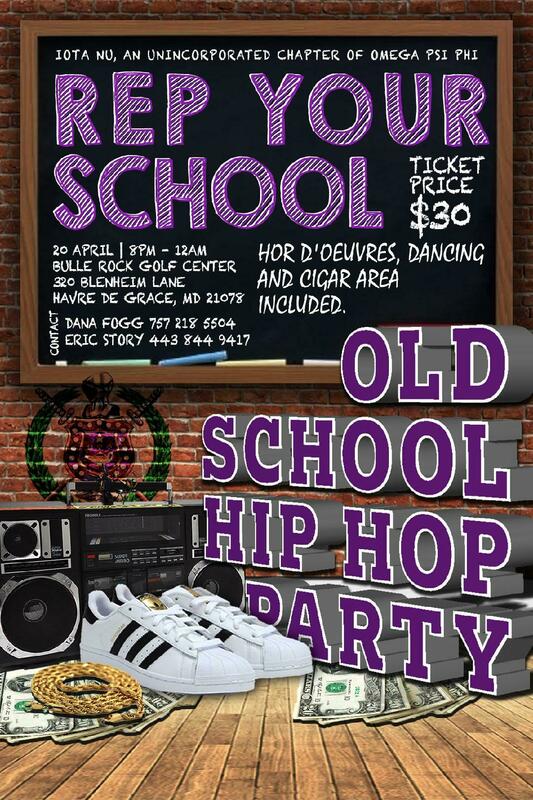 This is one of several events that Iota Nu plans to conduct as part of the chapters Social Action initiatives. 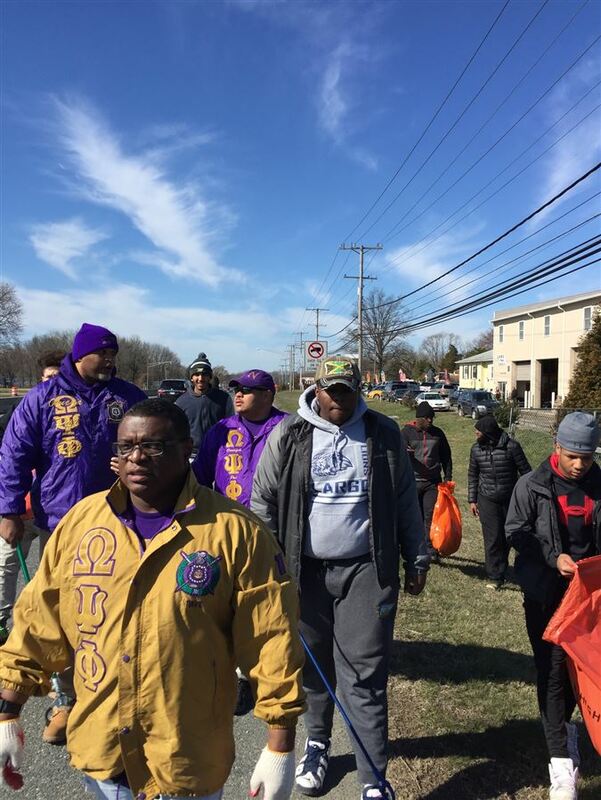 Iota Nu participates in the Adopt-A-Highway clean-up effort on a quarterly basis as part of the State Highway Administrations requirements and this program is led by Brother Anthony Dorsey. Great Job by the Iota Nu Chapter! The Iota Nu Chapter held its 10th Annual Talent Hunt on Saturday, March 17, 2018. Eight youths from area high schools competed in the categories of instrumental contemporary, dance, vocal, and visual arts. In an effort to recruit more participants, the event was held at The EPICENTER, a community center in Edgewood Maryland affiliated with the Mountain Christian Church. Partnering with The EPICENTER provided the appropriate venue with a stage, audio/visual support and access to youth in their outreach program. The program was opened by Brother Charles Gibson (84-E Sigma) who welcomed the community to the program and set expectations for the event. Brother Emil Cromwell (62 Pi E) gave the opening prayer and Bro. Gibson read a brief history of the Talent Hunt. Then the competition began. Two artist presented their works. Miss Veda Wilson, a 9th grader from Edgewood High School and Henri Rosser presented 5 works of their sketches and paintings. The six performers were Bryson Foye, a Senior at Bel Air High School who played piano, Brad Lembach, a 10th grader at Stone Harbor Academy who played drums to the Gospel song You’re Good by Israel Houghton, Ashanti Horne, a 10th grader who sang Blue Bird by Nina Simone, Mark Rosser, a 10th grader at Aberdeen High School who sang Hallelujah, Daequan Mittons, a 9th grader from Havre de Grace High School who performed a liturgical dance, and Aniya Horne, an 11th grader who performed a liturgical dance. The judges for the event were Felicia Thomas, Courtney White-Gilbert, Jaron Darden, and Victoria Stanley. After completion of their task, the winners were Aniya Horne, 1st Place, Henri Rosser, 2nd Place, and Brad Lenbach, 3rd Place. Iota Nu will send two performers to the District competition, Aniya Horne for dance and Henri Rosser, visual arts. Brothers Russell Reese (10-IN), Basileus of Iota Nu, and Mark Thomas (08-IN), Talent Hunt Chair, presented the awards. The event closed with prayer from Bro. Emil Cromwell. The Iota Nu Chapter of Omega Psi Phi Fraternity, Inc. donated stuffed Easter Bunnies to the Bel Air Rehab Center. Brother Michael Bennett and his family routinely visit the rehabilitation center to spend time with the patients. During the holidays some of the patients do not have families and having someone to visit with them always brightens there day. The stuffed Easter Bunnies will be provided to patients and also as game prizes during the centers weekly Bingo night. Brother Eric Story and Norbit Reed assisted Brother Michael Bennett. With a quick turnaround time, the brothers of the chapter were able to buy and donate over 60 stuffed Easter Bunnies. The Iota Nu Chapter of Omega Psi Phi Fraternity, Inc. recently observed the fraternities annual Memorial Service. March 12 is the day each year that the fraternity sets aside to recall the memories of the members that have transitioned from labor to glory. The brothers of Iota Nu worshipped together and followed Sunday service with fellowship and reflection about brothers that have passed away. Tears were shed and stories were told as brothers bonded and concluded the day remembering our fallen brothers. The Iota Nu Chapter of Omega Psi Phi Fraternity, Inc. donated funding to support the acquisition of the Havre de Grace Colored School. The goal and plan of the initiative is to convert the building into a cultural center and museum that provides the rich history and legacy of the Havre de Grace Colored School. The Havre de Grace Colored School was a segregated school for local black children from elementary through high school from 1910 until 1953. African American students in the Havre de Grace then attended Havre de Grace Consolidated School in the Oakington, MD. Today, Havre de Grace Consolidated School is now Roy-Williams Elementary School. Iota Nu’s own Brother Emil Cromwell is a lifetime resident of Havre de Grace and has lived through all of the transitions these past decades. He is a member of the committee that is fund raising for this effort and when he approached the chapter for support it was an easy decision. Iota Nu is proud to be part of this historic occasion in Harford County History. The Iota Nu Chapter supported Aberdeen Middle School’s monthly Good News Assembly. Each month Aberdeen Middle School celebrates their students character education traits there were learned during the month. The month of February focus on Black History Month and one of the schools principals requested assistance from the Brothers of the Iota Nu Chapter. Brothers Mark Thomas and Michael Bennett represented the chapter and welcomed students as they entered the school at 7:45am. Once the school day started, the brothers attended the schools assembly and observed as grades 6, 7, and 8 performed Black History Month themed programs. The performances included Harriett Tubman, Thurgood Marshall, and Langston Hughes. Aberdeen Middle School also had a step team perform. The brothers noted that it was a great spending time with the younger generation as they learned about African American history. The Iota Nu Chapter of Omega Psi Phi Fraternity, Inc. participated in their annual Mardi-Gras Scholarship Gala. It was unfortunate that the only day of the winter season that decided to snow fell on Iota Nu’s Mardi-Gras. The day started out very warm and as the brothers of Iota Nu were setting up for the event, snow began to fall. There was concern among the chapter to cancel the event, however it was decided to continue on. After a slow start due to snowy roads and accidents on both major highways, patrons started filling Martins East and before the brothers of Iota Nu knew it three quarters of the room was filled with supporters. The event sold over 250 tickets and it seemed that patrons wanted to enjoy the festivities with the brother of Iota Nu regardless of the weather. 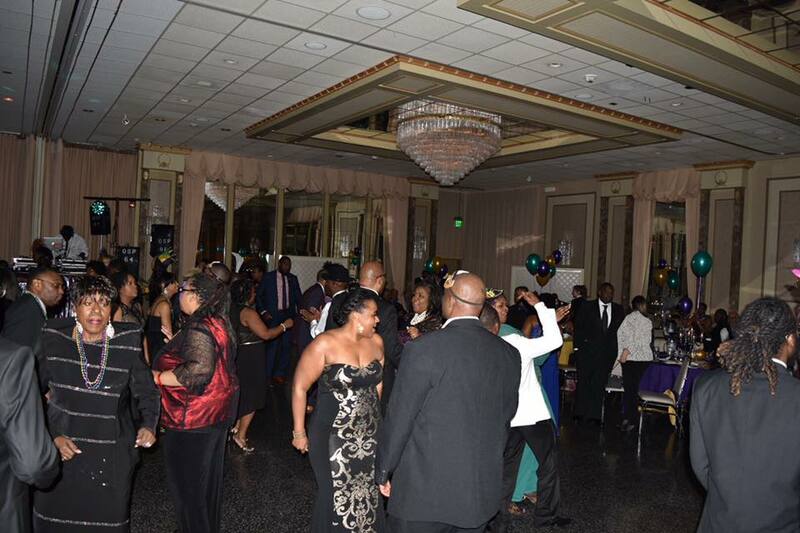 Altogether, the Iota Nu chapter profited over ten thousand dollars to provide to scholarships to high school students between Harford and Cecil Counties. 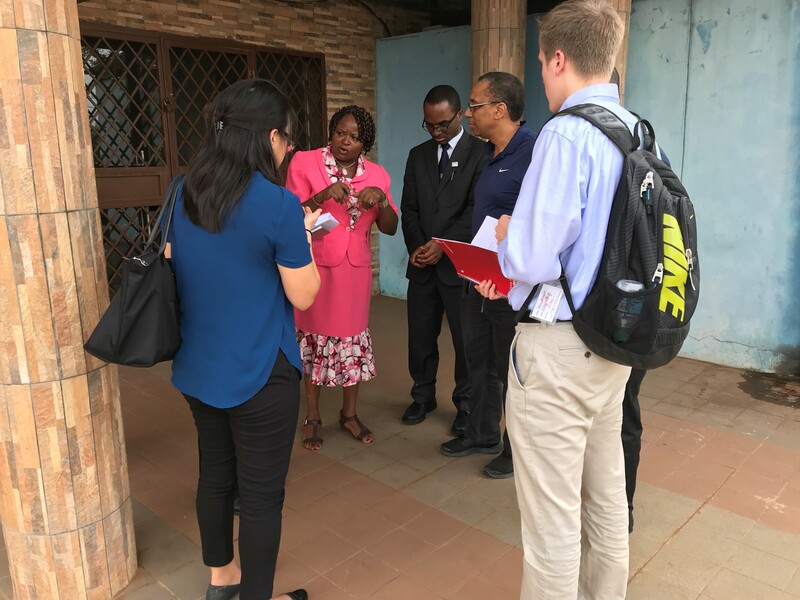 The Iota Nu Chapter of Omega Psi Phi’s Brother John Sampson spent did not spend the Thanksgiving holiday with his family and chapter instead he was leading a historic medical education team on a project of his design in Nigeria. Once every four years anesthesia and critical care physicians from all of Africa’s 54 countries assemble in an African city for a week-long conference to improve medical care across Africa. This year’s conference was hosted by Nigeria and held in Nigeria’s capital city of Abuja. By leveraging his years of experience, close Nigerian friends and partnership with the Christian non-profit, ProHealth International, Brother Sampson was able to coordinate a 24 member team of volunteers from across the United States as part of a partnership with the Society of Critical Care Medicine, based in Chicago. The physician team joining Dr. Sampson came from such diverse places as Baltimore, Chicago, Pittsburgh, New York, Seattle, Cleveland and many other localities. In a highly coordinated and synchronized fashion the team taught six distinct critical care related educational courses as part of the All Africa Congress at the National Hospital of Abuja Trauma Center with over 200 doctors and nurses from across Africa attending these courses. This combination of high-level and intense courses had never been taught in combination in the United States and yet was successfully executed with excellent results in West Africa. The Pro-Health International (http://prohealthimpact.com) organization hosted the visiting medical team for a traditional American style Thanksgiving dinner (with an African flare) at the conclusion of the program. At Thanksgiving Dinner our African brothers had an opportunity to learn more about the brothers of Omega Psi Phi during an invigorating discussion about our beloved fraternity. Brother John Sampson of the Iota Nu Chapter of Omega Psi Phi Fraternity, Inc. recently returned from a trip in West Africa to provide medical care and treatment. Brother Sampson leveraged his eight years of working with the Sierra Leone health sector and traveled to Freetown to meet with the Ministry of Health and other health sector leaders to secure valuable training and education partnerships with the Johns Hopkins University School of Medicine for the primary purpose of improving the health and survival of the mothers of this beautiful and historic country. As a result of working with healthcare leadership in Sierra Leone over the past eight years Brother Dr. Sampson coordinated activities with the Sierra Leone’s top health care providers to have the training program coincide with the installation of new and novel anesthesia equipment to 21 hospitals across the country. Once the Sierra Leone training team was established and ready for action Brother Sampson traveled with the team to Sierra Leone’s various provinces to mentor them as they trained others using the same medical simulation equipment that they themselves were trained on. This methodology allowed for healthcare workers to learn critical life-determinant management skills without risking the lives of patients during their training sessions. 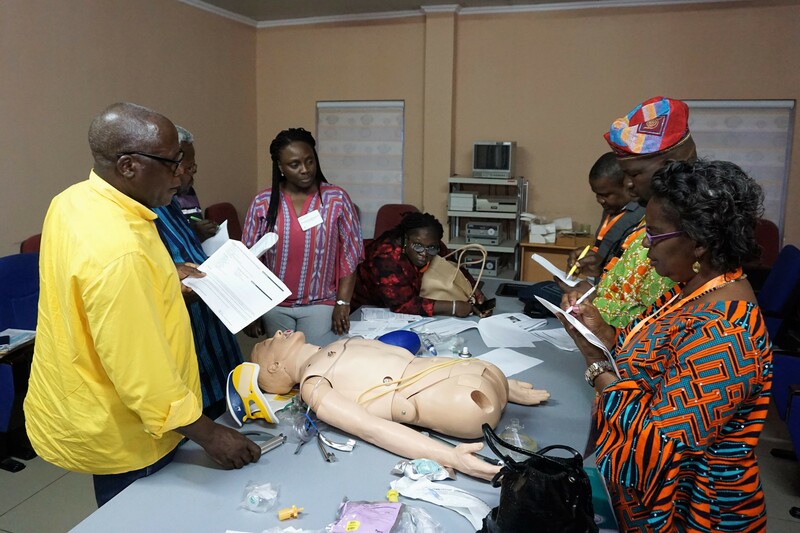 Sierra Leone nurses were trained for an intensive anesthesia education program. Although this nation-wide training program was executed during visits in October 2016 and February, 2017 Dr. Sampson was asked to deliver a presentation to at Johns Hopkins University on February 7th, 2018. The recent Ebola epidemic has left women in Sierra Leone with a 1 in 10 10 life-time risk of death during childbirth as a result of having limited obstetric services and only three obstetric specialists in the entire country. Sierra Leone is a West African country whose name derives from the lion-like appearance of its mountainous coastline. Although it is well known that Sierra Leone was a source for the extraction and transport of slaves with rice cultivating skills to the Carolinas, most are not aware of its connection to America in general and African Americans in particular dating back to the American Revolutionary War. In-fact the Krio ethnic group of Sierra Leone are partially the descendants of Black Americans who have returned shortly after the American Revolutionary War and often have American last names. Brother Sampson encourages those interested in learning more about the post-slave trade to read about Paul Cuffee and Reverend Daniel Coker as well as the books The Black Loyalists and The Book of Negroes. The brothers of Iota Nu are proud of Brother Sampson and is efforts. As a result of working with healthcare leadership in Sierra Leone over the past eight years Brother Dr. Sampson coordinated activities with the Sierra Leone’s top health care providers to have the training program coincide with the installation of new and novel anesthesia equipment to 21 hospitals across the country. Once the Sierra Leone training team was established and ready for action Brother Sampson traveled with the team to Sierra Leone’s various provinces to mentor them as they trained others using the same medical simulation equipment that they themselves were trained on. This methodology allowed for healthcare workers to learn critical life-determinant management skills without risking the lives of patients during their training sessions.trained Sierra Leone nurses as trainers for an intensive anesthesia education program. 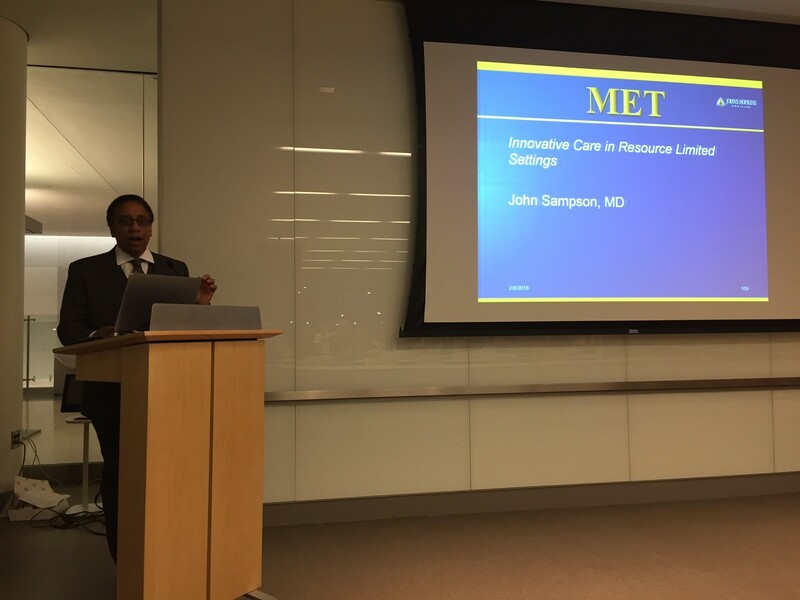 Although this nation-wide training program was executed during visits in October 2016 and February, 2017 Dr. Sampson was asked to deliver a presentation to at Johns Hopkins University on February 7th, 2018. 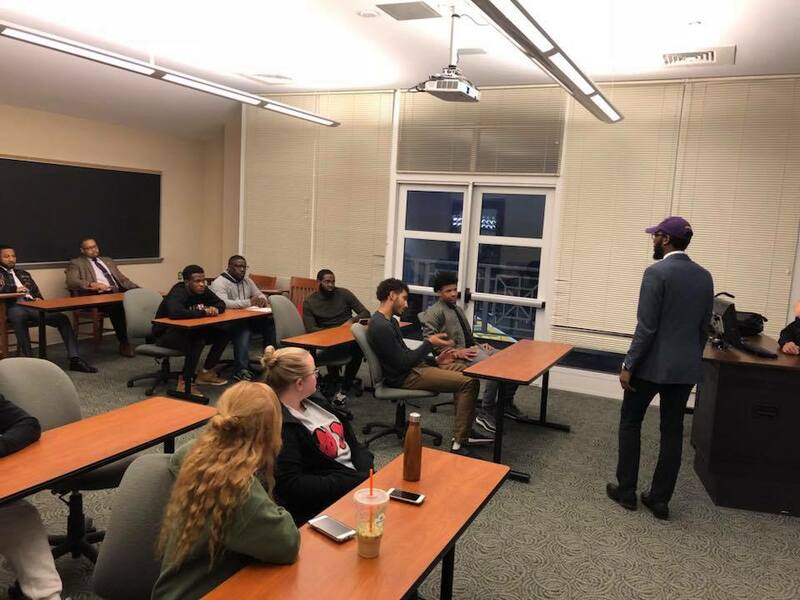 The Iota Nu Chapter of Omega Psi Phi Fraternity, Inc. participated in their scheduled mentoring and leadership training with their youngest chapter brothers at McDaniel College and Stevenson University during our monthly fraternity meeting. The young brothers traveled from Westminster to Harford County, Maryland to discuss planning and budgeting for Iota Nu’s current events as well as events that are forthcoming at McDaniel College and Stevenson University. The Chapter is in a unique situation in which they are grooming the younger brothers of McDaniel and Stevenson while they are chartering a new chapter into our beloved organization. The young brothers of McDaniel College and Stevenson University are taking the initiative to engage the officers of the executive council in Iota Nu and continue to seek guidance and wisdom from the chapter. These young brothers have been thoroughly immersed in chapter and district activities throughout the fraternity. The charter of McDaniel College and Stevenson University’s newly formed chapter is expected to be approved and presented by mid-year 2018. The young brothers have expressed interest in remaining close to the Iota Nu Chapter for guidance and assistance and our plan is to provide quarterly training as part of the chapter’s fatherhood and mentoring initiatives for the fraternal year 2018. 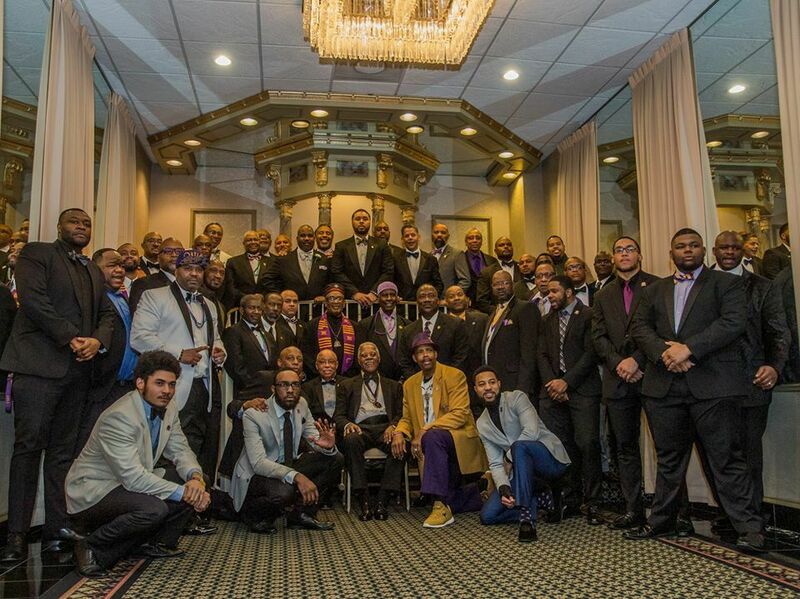 The Brothers of the Iota Nu Chapter recently celebrated their 48th Chapter Anniversary. January 28, 1970 marks the day that 18 men chartered a chapter of Omega Psi Phi Fraternity, Incorporated in Harford County, Maryland. We are blessed to still receive the wisdom and guidance from charter members Charles Alston, James Monroe, and Russell Stansbury. The brothers of Iota Nu celebrated the day with morning church service at Mt. Zion Baptist Church in Havre de Grace, Maryland and transitioned to a luncheon for fellowship in Edgewood, Maryland. Time was spent reflecting on the past, present, and future as younger and older brothers of Iota Nu came together for this joyous occasion. The Iota Nu Chapter of Omega Psi Phi Fraternity, Inc. was all set to enjoy the holidays with their families the Friday before Christmas. The chapter was notified that a young lady was left homeless and needed help during the holiday. The Brothers of Iota Nu stepped in to support this young lady during her time of crisis. Brother Bennett and representatives from Iota Nu gathered items to provide to this family in need at into Anna’s House which is located in Harford County, Maryland. Anna’s House provides support services to woman that have experienced a variety of crises that include domestic violence, loss of employment, and recent homelessness. The representatives of Anna’s House work individually with each case to address the family’s challenges. Thank You Brother Michael Bennett and the brothers of Iota Nu for ensuring that another family received a Merry Christmas! Pictured left is Director Cynthia Wood of Anna's House and right is Brother Michel Bennett. The brothers of Iota Nu would like to congratulate our very own Brother Jimmy Archange on his recent accomplishment. 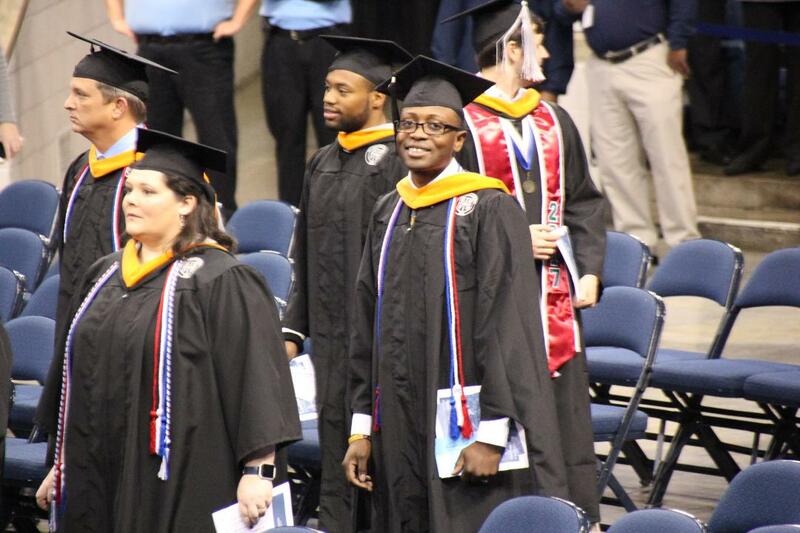 Brother Archange recently graduated from Old Dominion University on with not his first, but his second Master’s Degree in Systems Engineering. Brother Archange embodies our organizations cardinal principal of Scholarship and currently serves as our chapters Social Action Chairman. Brother Archange has been active with Iota Nu since moving to the area and is an asset to our chapter. Brother Jimmy Archange is a service member of the United States Military and is an avid cyclist and runner. Congratulations again Brother Archange on your recent accomplishment from the Iota Nu chapter. 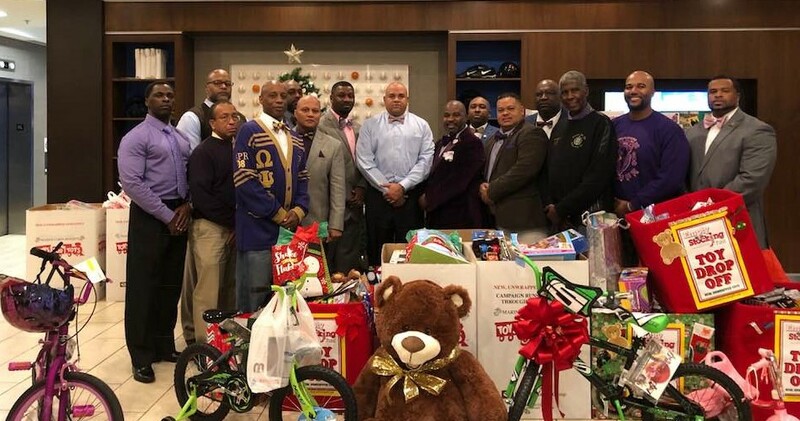 The Iota Nu Chapter of Omega Psi Phi Fraternity, Inc. continued to spread holiday cheer for a worthy cause by conducting their 5th Annual Toys for Tots Bow Tie Social at the Courtyard Marriott. Entry to this social event was free with a toy donation. The Brothers of Iota Nu partnered with Chesapeake Lodge #48 Masons of Harford County, Worshipful Master, Walter E. Hynson Jr., Sales Manager Courtyard & Residence Inn by Marriott at Ripken Stadium, Elizabeth Barrett, Marines from Harford County, MD Toys for Tots Foundation, Leonard F. Stielphen Jr. and Donald J. Benson Sr. to collect toys for children for the upcoming holiday. Committee member, Garry Wolfe, of the Empty Stocking Fun, stated he was thankful for the incredible generosity of Omega Psi Phi Fraternity, Inc. - Iota Nu Chapter & Chesapeake Lodge #48 during the event. “I can’t recall an event we’ve ever participated in which has generated that large a response with so many toys.” He shared his heartfelt thanks to all the members of the chapter and lodge for the invitation. Other patrons, guests, and Iota Nu members contributed more than 800 individual toys, bicycles, large stuffed animals, dolls, and helmets to make children’s holidays a little more special. The items that were collected will be donated to the Toys for Tots and Empty Stocking Fund organizations. Iota Nu would also like to thank our sponsors ACE Hardware, A.C. Moore, Bath & Body Works, The Home Depot, JOANN Fabrics and Crafts, and Michael’s MAKE CREATIVITY HAPPEN for their donations of gift baskets that were given to several lucky door prize and drawings winners. 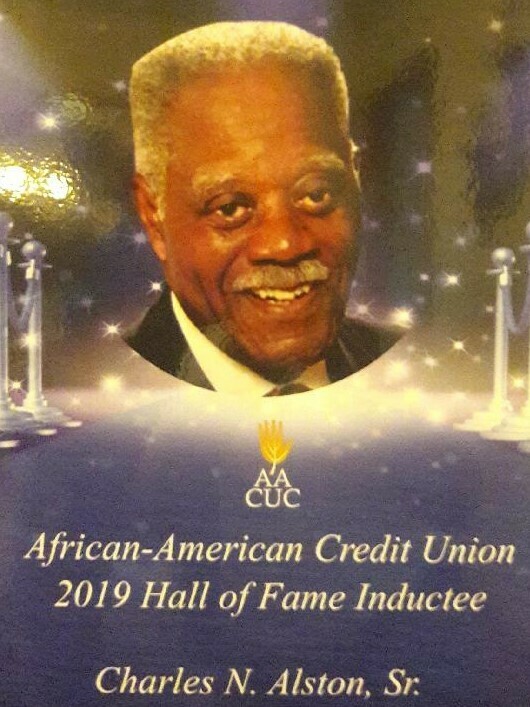 The successful event was due to the dedicated work of Brother Melvin E. Adderley, event Chair, committee members Brothers Derrick Brockman, Dwayne Adams, Leonard Newman, Aurelio Burton, and Brian Wilson. “We are fortunate enough to be able to help Harford County children have a Merry Christmas and happy holiday by asking for community support. Our community is more than willing to help each and every year”, shared Iota Nu Brother Melvin E Adderley. This year’s annual event garnered more support than any previous year, and Iota Nu looks forward to exceeding these results next year. 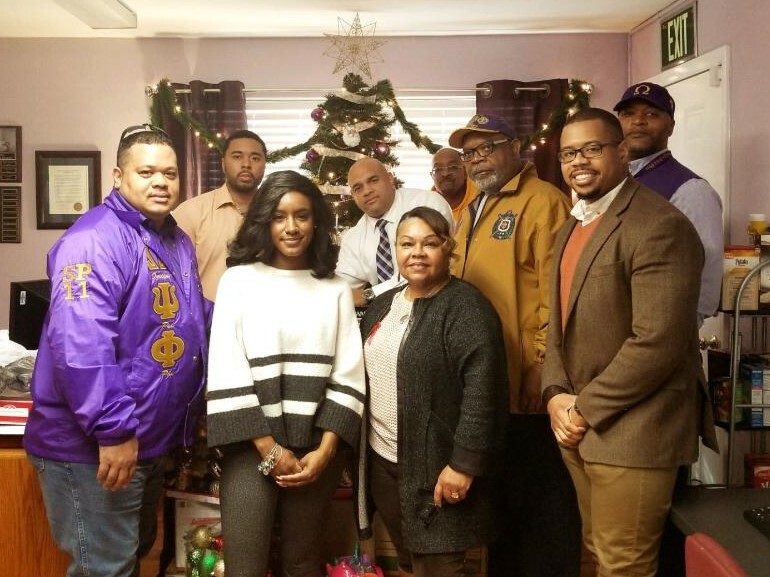 The Iota Nu Chapter of Omega Psi Phi Fraternity, Inc. transitioned from Achievement Week and Thanksgiving and immediately transitioned in the Christmas holiday. The brothers of Iota Nu partnered with the Harford Family House to Adopt two families that otherwise would not have been able to celebrate the upcoming holiday. The families provided the Iota Nu chapter their list and the brothers granted these families their wishes. The Brothers also bought Christmas decorations so that the families were able to decorate their homes. Gifts included clothes, toys, and kitchen appliances. the Iota Nu Chapter of Omega Psi Phi Fraternity, Inc. participated in Harford County’s longest running community dinner on Thanksgiving Day. The brothers of Iota Nu joined the events host organization, Community Service Projects of Havre de Grace Inc. Other organizations included the Harford County chapters of Delta Sigma Theta and Alpha Kappa Alpha. Community Service Projects of Havre de Grace Inc. and the annual Community Thanksgiving Dinner started several years ago at Havre de Grace High School and has expanded over time. Organizers expect to serve about over one thousand meals this year between serving at the Havre de Grace Community Center and delivering to families at senior citizen homes, nursing homes and private homes in Harford and Cecil County. 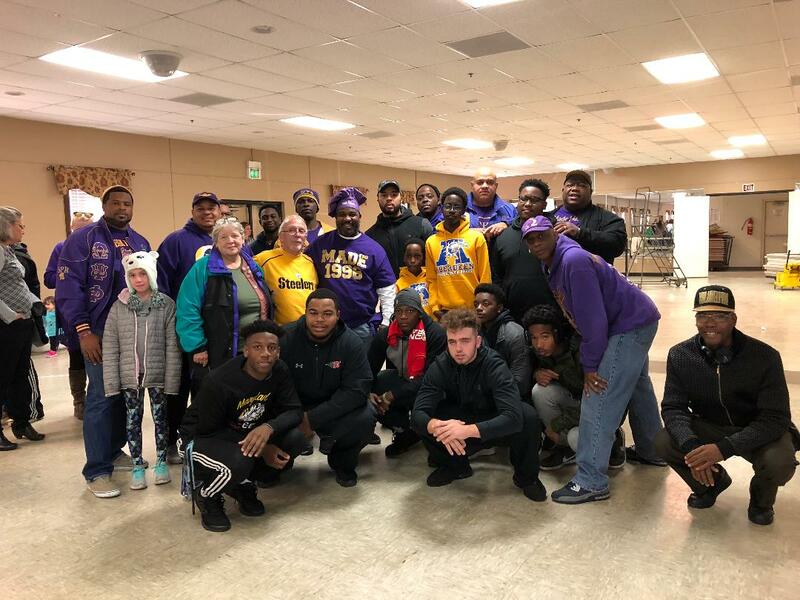 The brothers of Iota Nu along with the other organizations and community patrons helped prepare Thanksgiving meals, set up the community center, serve the community, and deliver meals to families during the Thanksgiving Holiday. grade and participated in assembly activities. greeting students as they arrive to school. 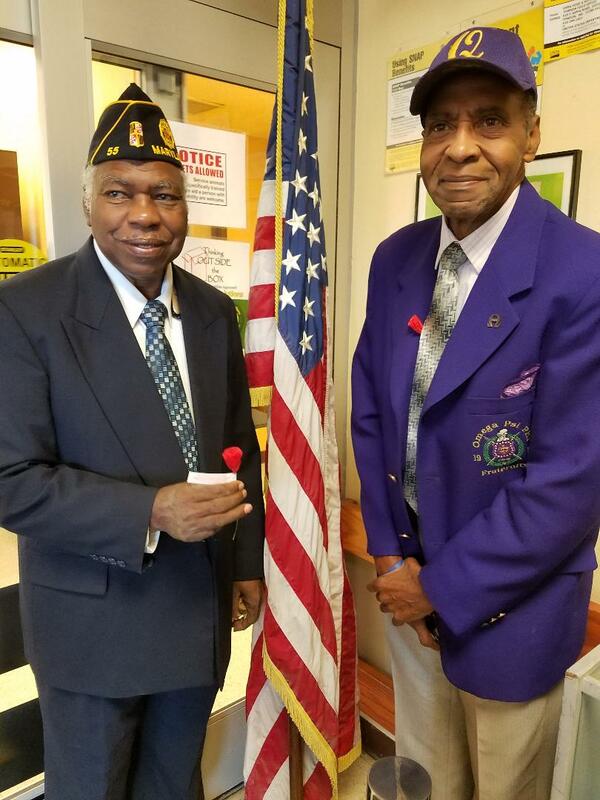 The Iota Nu Chapter of Omega Psi Phi Inc. would like recognize our very own Brother Stephen Smith on his recent work towards the recognition and highway dedication of Harford County’s only Congressional Medal of Honor Recipient Sergeant Alfred B. Hilton. The Maryland Department of Transportation and the Maryland Transportation Authority dedicated the MD 22 bridge spanning over I-95 in honor of Alfred B. Hilton. Alfred B Hilton is a native of Harford County and was mortally wounded during the Civil War. He was later posthumously awarded the Medal of Honor. Brother Stephen Smith has been working with members of Campaign 42, a Harford County organization that is dedicated to promoting and documenting the African American History of Harford County, Maryland. The brothers of Iota Nu want to congratulate our very own Brother Marcus James on his recent retirement from military service. Marcus has served more than twenty years in the United States Army and retires as a Chief Warrant Officer Three. 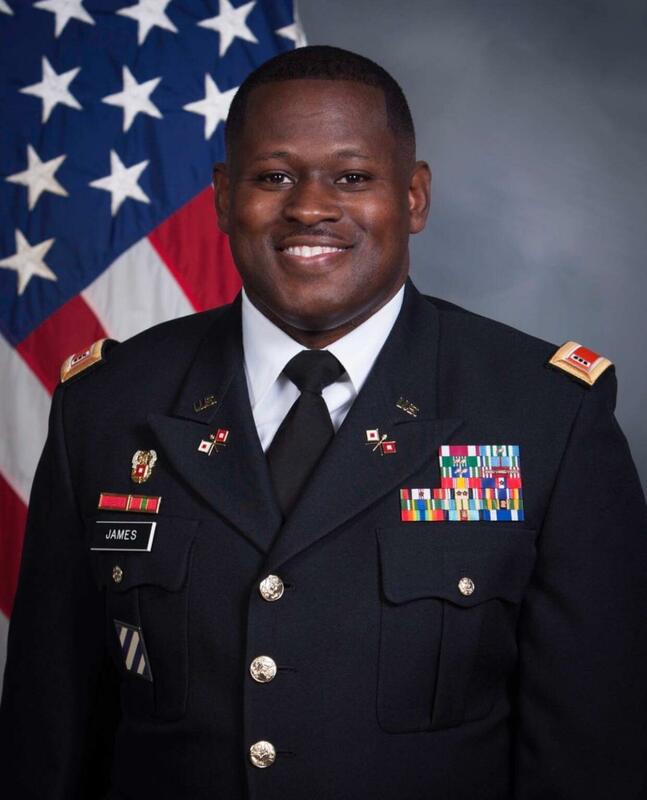 Brother James has served multiple overseas and stateside tours during his career. Some of his awards include the Meritorious Service Medal, Joint Service Commendation Medal, and Army Commendation Medal. Brother James was initiated in the Iota Nu chapter during the spring season of 2014. During his fraternal travels, Brother James has been part of several chapters and districts throughout the fraternity and has always remained an active member. Brother James has a passion for serving the community and can be found working and serving the community during the weekends. Brother James chose to retire on the fraternity’s founder’s day. Brother Marcus James will enjoy his retirement with his family and they will reside in Texas. Congrats again Marcus from the brothers of Iota Nu! 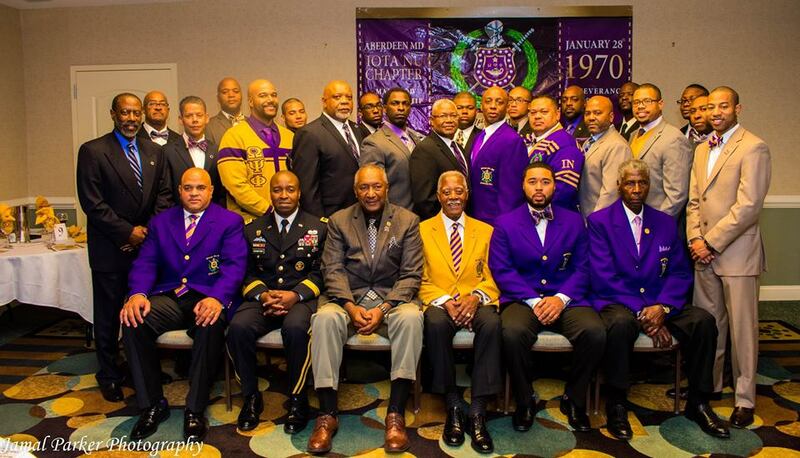 The Iota Nu Chapter of Omega Psi Phi Fraternity, Inc. recently observed the fraternities annual Achievement Week. This year’s theme is “When the World Calls, Omega Men Answer”. Iota Nu’s Achievement Week activities included chapter fellowship, participating in the fraternity’s re-dedication ceremony, worshipping together, and participating in Iota Nu’s annual Achievement Week Banquet. Iota Nu’s guest speaker was Brother Bruce Crawford, whom is a senior leader in the United States Army. Guests included Harford County Representatives and Community Leaders. The brothers of Iota Nu will conclude achievement week by serving Harford and Cecil County communities during the Thanksgiving Holiday.